Learning a foreign language for me was one of the hardest things I’ve ever done. Language and words are incredibly hard for me, and I struggle a lot with context. I’ve come to realize over the years, that for most people, if they come to a word they don’t know, they simply skip over it and try to figure it out based on the context of the sentence/paragraph, or conversation. My language processing doesn’t work this way. If I come across a word I don’t know, I get stuck. I can’t move on until I’ve figured out what it means. And usually by then, the conversation has moved on well beyond what I can figure out, and I’m lost for minutes or hours. This happens in English. It happens when I read, when I speak, when I interact with people. I have an incredibly extensive vocabulary – I read so much as a child that I would pick up some pretty obscure words. That helps. But even so, I’ve always gotten stuck when I hear something I don’t know. I had echolalia when I was growing up. But I still have it today. I echo things in my head and sometimes out loud. I use scripts to talk, because I know then, that words are being used in the right contexts. Because context is hard for me to figure out. Despite having the highest reading levels of any of the students at my schools, I always had trouble on the “critical reading” sections of standardized tests, because they would ask us stupid questions like “how did the author feel when s/he wrote this?” and other absurdities. But worse, it asked us “using context clues, what is the definition of this word?” – and that’s where I’d go wrong. I understand the idea behind context clues, and the rules and how they work. But really, I can’t employ them, not well, anyway. I’m better at doing it in writing, when I have time to think, but in test situations, when there’s a time limit and stress about the exam itself, I didn’t have the ability to break the loop. I scored well on these exams because of my prior knowledge – many of the words, I just knew. Some I was able to guess. But in context, it’s hard. I have a dictionary – that’s what it is for! And in spoken language, when I have to process words verbally, it’s infinitely worse. This is especially important in the context of learning a foreign language. The way foreign languages are taught in the US (or rather, the way I’ve experienced it), the teachers and professors enter into the classroom and from the very first moment, they speak only in the language they are teaching. No English is allowed, except in dire circumstances. Sure, there might be a couple of English translations around to help understand, but for the most part, it is all about immersion. For most people, this is fantastic. They are forced to think in the language and really learn it. They learn faster, and are able to converse in the language and get around. Win/win! But for me, this doesn’t work. Can you spot the problem? Yep, context. Use a word I don’t know, and I perseverate on that word. I lose everything else. Learning “in context” doesn’t help me in the slightest. Yet I have managed to master a second language: French, and I think that my autism has helped me, rather than hurt me, in that quest. I want to share my second-language acquisition story here. I spent most of my childhood wanting to learn French. I learned how to count very early on, in one of those “preschoolers and language” programs, and was really good at counting all the way up to 39. For some reason, the word for 40 had a very hard time sticking. But I had a good understanding of numbers, and I really enjoyed using them. But I only got to spend a very little bit of time in the program. I don’t know exactly why my mom stopped bringing me, but I think I only went to 2 or 3 lessons. My language abilities remained at “I can count to 39” for many years. In my elementary school, there was the opportunity in 4th grade to start either French or Spanish. I was looking forward to that so much, because I couldn’t wait to start French. Then budget cuts happened, and I didn’t get any language class. Then in 5th grade, they decided to start everybody in Spanish. Now I didn’t want to learn Spanish, I wanted to learn French, but I decided that I would have fun with learning it anyway, because then when I got to middle school, I could choose French. So while I was in Spanish class, I tried to learn Spanish. The teacher used some English and mostly Spanish. And she did this utterly fantastic thing in her class that helped me (as an autistic kid) learn the language and not get lost. She had “vocabulary sheets”. Each sheet had space for something like 25-30 words, and we got a little reward (sticker or something) every time we filled one up. The vocabulary sheets were to be filled out whenever there was a new word we didn’t know in class. Every single class, I would sit and listen to her talk, and go over activities, and write down every single word I didn’t know. Then I’d spend some time in class looking up the meanings. By the time the year was over, I had more than 100 vocabulary sheets, 5 times more than the next highest person in the class! Writing down the words I missed did a number of things for me to help me out in the classroom. First, it took the word out of my brain and put it onto the paper, so I could continue to pay attention. Second, it gave me the chance to look up the vocabulary words after class, so I could learn them explicitly. Third, it gave me the chance to really learn Spanish phrases that I could then echo back in context. And so, while my Spanish was never phenomenal, I actually learned a lot that year. I still know and can understand a lot of spoken Spanish for that reason. But really, my language is French. I officially started French in 6th grade, and it was really fun. Now I’m absolutely terrible at language acquisition. I can memorize vocabulary and little rhymes to learn how to conjugate verbs, but overall, I have a very difficult time speaking a language. The one thing I’ve always been pretty good at is accents – why? Because I am very good at echoing, and when I hear a word or phrase, I can repeat it exactly. But I was never very good at language class. When I was taught in an immersion setting, especially, I would get lost. And when I got lost, I would fail. There weren’t the magic vocabulary sheets, and though I tried to keep my own, the teachers wanted us doing other things. I lucked out and had a series of very good French teachers. Not all of them, mind, but out of 7 years, I had 2 bad teachers, 2 mediocre teachers, and 2 really great teachers (one of whom I had twice), and one amazing mentor who I never had as a teacher exactly, but who was a teacher in the school who helped me after school. In high school, we read novels in French, and I really began to struggle. Novels were even harder for me than any of the vocabulary and grammar exercises we had done before. I was really good at following grammar rules, but reading whole paragraphs? That was a near disaster. At some point during high school, my French teacher (one of the great ones) pulled me aside at the end of class. We were halfway through yet another novel, and I was still having absolutely no luck understanding what was going on. I was coming to her nearly every day after school for extra help, and could read and repeat the words, but I just had no reading comprehension, because I would get stuck halfway through a sentence, every time there was a new word. I became the very first student she ever told to “go buy the book in English, read each paragraph in French, then in English, then again in French.” My language abilities were just that bad. And being in immersion-based classes were just making it worse. This teacher and her friend (the other teacher) both realized that, and it is a hallmark to the great teachers, that they can be flexible in how they teach individual students that I can speak French now. Their hours helping me one-on-one, using English AND French outside of class, not insisting that I “just pick it up” using immersion like everyone else, and their dedication, are what I am truly grateful for. But I kept on working. I know that people observe autistic kids who seem to make no progress for months on end, then *bam*, suddenly they make leaps and bounds? That’s how my language skills were. By the time I graduated high school, I was speaking what I called “functional French” – not fluent, but I could get around. I had the opportunity my junior year to go to France with my high school on an exchange trip, and I had managed to pass as French there – I figured out a couple of the cultural rules by observation, and once I started employing them myself, the French people stopped switching to English on me! I went to Quebec City with my family, and people asked me if I was French. My comprehension still wasn’t superb, and my writing was pretty horrific (but then again, so was my writing in English), but functional was functional, and I’d take that. I even got a 5 (highest score) on the French Language Advanced Placement Exam! Then I got to college. I had to take one term of French to fulfill my “year of a language requirement”, so I did, and it was interesting. We didn’t speak much – it was a literature class, not a conversation class, and I barely made it through with my pretty abysmal composition-writing skills. Then I stopped having the opportunity to take French classes – the higher level classes were all upper-division, literature based classes (read, write compositions, not much talking), which I knew I wouldn’t do well in or really enjoy, and didn’t have the patience to try – there were other things I was more interested in – science and math classes. So what does this all mean and what does it have to do with Autism? Well, we learn differently. Sometimes the “right” way to learn really truly doesn’t work for us. For me, I actively learned French for 7.5 years. Then 3.5 years later, I was able to come back and use it, better than I had when I was actually learning. Having the extra time to really absorb the language, and using it in my own head was the trick. I practice everything I’m going to say over and over in my head until I get it right, BEFORE I try to say it. Learning French in school was information overload for me – I never had time to assimilate all of the information, and organize it into my brain. During the 3.5 year gap between my last official French class and now, I’ve had the opportunity to really assimilate the language. Because of my echolalia, I am able to reproduce phrases and words exactly as I hear them – once they were organized, I could use them as scripts and as basis for my own sentences. Looking at how my French has assimilated, gives me a number of insights into how I learned language as a child. Growing up, I wasn’t incredibly language delayed. I had a very big vocabulary, but often couldn’t use anything in a sentence. My ability to communicate and be understood wasn’t due to mispronunciations, but due to my inability to contextualize and organize my knowledge of the words. For me, language is really “hurry up and wait”. I worked incredibly hard on my French, and never really saw a pay-off until years later. But I do think that now that I have this ability, it will likely stay with me for life. And so, this is just another way that my Autistic Brain works, and a few insights into how language acquisition may work in some Autistic youngsters. Foreign languages are really hard for me. But with enough persistence, effort, and time, I was able to not only assimilate, but actually learn to communicate in another language. Maybe one day I’ll add a 3rd. « Long Radio Silence – but I’m still here! This is great. Gave me so much to think about. I see how hard Emma is working on reading and writing and how difficult it is. In a school setting she is compared to her NT counterparts, and refused entry into a regular school because she isn’t “up to grade level” but I believe she will catch up and my guess is, she will one day bypass many of them! Loved reading about how you’ve mastered French. This is the language I’ve always wanted to learn, but never have. One of these days, though! Welcome home E. It’s good to have you back! Thank you so much for sharing this! My son, like you, has had little bit of foriegn language here and there but is now starting German this school year. He is so excited but I am also worried because of his language difficulties. I could never pick up languages but I made it through 3 years of spanish. I don’t remember much but did understand my son when he started speaking spanish at age 3 from preschool. Anyways thanks for sharing and glad to have you back!! 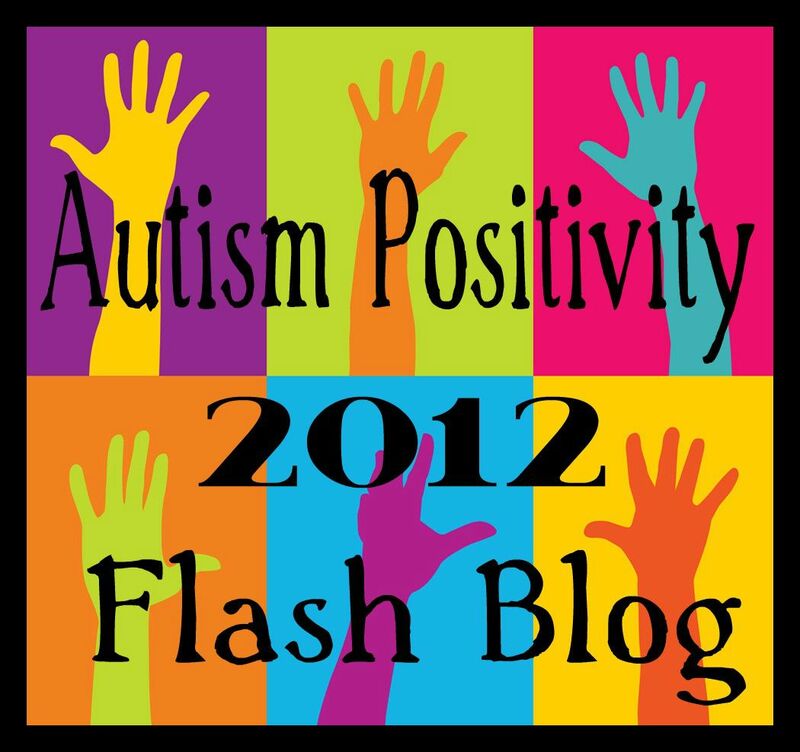 Hi, E. I’m an Applied Linguist and the mother of a wonderful 15 year old who used to have PDD. I dedicated myself to helping him through nutrition, play, video, exercises, tons of one on one and lots of love. Today is a happy, goofy, highly highly imaginative kid who communicates like an adult, delights everyone with his straightforward “from the heart” responses, and immerses himself in making stop motion Lego films and photography. Like you, he did scripting when he was young. Like you, he learns in huge jumps forward just when you’d think he’d never master something. Like you, there is another dimension to him that is completely different from other people, but his is extremely subtle. He doesn’t know his past. He just knows he doesn’t quite fit in. And he learns entirely differently from the way traditional school teaches, but he is in a traditional school. He hates it. Thought I’d share. I usually don’t. I LOVE your writing and your insights. Please keep it up–everything clicks for me when I read your posts. Jenny, people don’t grow out of PDD. People who have autism spectrum conditions are born with them and they die with them. If your 15 year old “used to have PDD” like you say, then he still has it. Some of this is true for me as well. Like you, I was echolalic, and still “hear” echoes inside my head; I’ve just learned not to voice them. Like you, I have terrible auditory processing. When I was taking Spanish classes, the thing my teachers thought was most notable about me was that I wrote fluently in Spanish, much more fluently than I spoke it. I don’t remember ever finding it difficult, though, and I remember not having much of a problem with lessons being conducted in Spanish, or with being able to handle the “no ingles” (no English) periods of free chat, where we were supposed to just talk to the people around us, about anything, for some length of time, as long as it was all conducted in Spanish. I actually remember doing okay at this. But I *do* hit a mental block whenever I see/hear an unfamiliar word, and start to perseverate on that word, too. I also do not think in words at all, which … I am unsure how that affected my learning a second language. I KNOW it greatly slows down my efforts at real-time translation, or at trying to carry on a complicated conversation in Spanish. I speak slowly in English for this reason, and when I have to rely on English as an intermediate stage for sentences I am trying to construct in Spanish (which I do sometimes have to do), it goes immensely slowly. I think this lag is probably the biggest contributor to the huge gap between my written and spoken fluency (in English too, but probably more so in Spanish). I just shared this with a young friend who teaches Spanish and French. Thank you for your insights!! Neat, thanks! I wonder if they have had any students with similar experiences? This is a very interesting post and discussion for me. My non-verbal son (PDD-NOS, and always will be) is growing up in a bilingual environment. Home is mostly English speaking, as was his education until last year, when he changed establishments and at the same time changed languages to French (the rationale being, we live in France, he needs to be able to communicate in French). He clearly understands both languages. We are trying to help him to express himself verbally but his vocabulary has plateaued (is that a real word?) at about fifteen to twenty words, mostly English but now some French too…I can’t make my mind up whether we have confused him by changing languages in this way, whether we should just drop the French because all the AAC apps are in English so if he’s not going to be a talker at least we have that as an alternative, or whether we should patiently persist with French since that may allow him some socialisation with other kids…it’s a hard decision to make. Sorry for rambling…your post has given me a great deal of food for thought about the way he may be learning, and a reminder that even if I can’t see the progress, doesn’t mean it’s not happening. It’s the old tip of the iceberg cliché again. Thank you, E! Thanks for the comment! I don’t know if this is a useful thought or not, but French Sign Language and American Sign Language are actually incredibly closely related – ASL came from the French version. Might be worth looking into that at some point as well. And yes, tip of the iceberg. Thank you for your wise response, E. It was *exactly* what I needed. I think I’m going to print it out and put it somewhere where I’ll see it regularly (the fridge, maybe) so I don’t forget to let him do things in HIS time, not MINE. Knowingly getting stuck with a word or concept you don’t understand is a gift and G_d sent in fields like math, computer science, physics and engineering where concepts tend to be sequential and hierarchical. You can’t and don’t want to “relax” and continue if you don’t understand something. It might take way too much effort to figure out the missing link later, for example, if you’re writing a very long program. The order of learning makes a huge difference. Similarly, with regards to learning Foreign languages, there’s a difference in depth depending on how you learn. It’s one thing to master 500 or so words that will allow you to get by “sounding like” you speak a foreign language, even without an accent, versus really knowing specific concepts in any language. Take the word epistemology as an example. It’s a very important and fascinating concept, but one people can live their whole lives never using. So there’s an issue with the matter of depth that is rarely discussed. Children who supposedly speak multiple languages usually, according to several studies, end up having a more shallow vocabulary. French was also my College and third language. I think knowing English and Spanish first is great help. One of my favorite ways to learn a foreign language is to find a song or prayer that I love, the sing or recite it until it feels like second nature. This tends to engage the right brain, like you were dancing not speaking. It can be very enjoyable if the message is the song or prayer is a good one. The Our Father is one I use often. Song selection is a lot trickier. A real challenge for almost anybody learning a foreign or computer language is how “why” questions lead you down the wrong path. Rules are there simply to adopt them, not question or fight them. This can be a challenge for people with subjective personalities, or the creative philosophical types. Finally, I really identify with your problem of having to deal with stupid questions during tests. 😉 Great blog entry! Like GirlWithTheCane, I grew up in Ontario; but unlike her, my parents put me into French immersion, which meant from age 5 to age 12, at school, we spoke French all day, did all our reading in French, etc. (until Gr. 4, when we started to have 40 minutes a day of English). This is where genetics comes into play, and not in the sense of ASD, I think. My grandfather was a Classics professor (at Oxford, Stanford, the university in Cape Town, University of Toronto, Yale, and Harvard – yes, I did say both Yale and Harvard) and spoke a number of languages. He was also very good at math – he was one of the Enigma codebreakers at Bletchley Park during WWII, because he spoke German (and Ancient Greek, and Latin, and French, etc.). I seem to have inherited his skills with both language and math. Even in Latin and German, we worked from sheets of vocabulary (as well as stories, in Latin) and textbooks. And that helped a lot, I think. So did my own ability to mimic accents – I would respond to the teacher, and it sounded like I was saying it the way they were. Interestingly enough, the year we started German, I was in my second-last year of Special French (a class designed for those of us who were either in French immersion or who grew up speaking French). I would go to French class, and I would start thinking in German. The same sort of thing happened after my parents moved to Costa Rica. I would visit them, and see all the Spanish signs (at least half of which I could understand, considering my French and Latin background – though I had a harder time with people speaking)… I would start thinking in French (which I’ve done before) or in German (which I only had three years of). Heh. It is very interesting for me to read this because I did attend a French class for a few months when I was in Paris, and they taught this way. And it was very very difficult for me. At home, I did self study for many hours, and I learnt more as a result of my self study than the stressful hours I would spend at the school trying to keep up with the context and rapidity of people’s responses. The teachers would not allow me to open a dictionary and for me that was paralyzing! This is interesting for me because I am trilingual. I learned my first language (Cantonese) as soon as I learned how to speak (around 2.5-3 years old). Then, I learned my second language at around 6 (when I learned bits and pieces of English). After that, I learned Mandarin at about 9. I learned them all through traditional school methods. Now, I still keep all three quite well- which is remarkable because I rarely speak Mandarin… yet I can still hold conversations with people if needed. I stumbled upon your blog when I was trying to find information on teaching foreign language to autistics and if it has benefits. Love your post and your insight. I also would love to hear more of your perspective. I have an 8 year old autistic son. I think he a witty, brilliant little boy and I am always trying to understand where he is coming from. He attends a school that has a large portion of children that are immigrants. I have observed that they really accept him and are eager to be his friend. I feel I see a connection here, they empathize with hm as they know they are different than the “typical American kids.” I kind of view my son’s learning experience as he is foreign to NT expectations and he is still “learning the language and culture” of his society. Currently I am learning French. As I stumble through learning the vocabulary, grammar and culture, I wonder if this is how my son feels every day. One thing I am taking through my French experience is that I not only learn a new language, but it is also reinforcing my knowledge of English in a different way. In my thoughts about my experience and my son’s experience, I was wondering if learning another language, maybe in a slower paced setting, may help him with his communication in general. He does really well now (he is mainstreamed with NT 8 year olds) but you can tell he has a delay in his language and he gets frustrated at times trying to express himself. I also wondering if taking the approach of teaching the English language as you would to a non-native speaker and applying it to that to an autistic might be of some help in building those linguistic connections. I often think my son thinks in pictures (like Temple Grandin) and think that from the beginning, that was his “first language.” I really look forward to reading more of your posts. It really helps me understand how to help my son progress and grow. Hi Lisa, Thank you so much for your comment! I had a very similar experience in elementary school – my town hosted a number of visiting professors to local universities, and I often had classmates from all over the world. My best friends were from Israel and Jordan. I definitely made better friends with the kids who didn’t grow up in the US – we were both on the “outside” of the American Culture… I think that is more of a comment about American culture than anything else, honestly. As for learning English better, maybe? I think it just takes time. There are definitely times I “think in pictures” and times I “think only in words” – both happen. I can’t really describe it for people well. I connect to your story because many years ago as a seven-year-old, I decided I wanted to learn French. I remember sitting on a swing in my backyard in Coos Bay, Oregon, pretending I was speaking French. I have no idea where this desire came from. (Do you know why you targeted this specific language?) In my Junior year, I was living in Nantes, speaking French. Now I’m living in Hong Kong trying to learn Cantonese. This article gives important insights into language learning in general. You explain so well what was going on in your thought processes. As a language teacher who has developed language programs, I value what you have written and will be studying it and the many helpful comments others have made. One activity in Nantes that indelibly imprinted the language on my mind (to the point where it resurfaces even 35 years later) was being in play. I had to memorize 700+ lines in three weeks, and I did. Rote memorization is often criticized as a learning tool. But if it is used as a tool along with many other language-learning techniques, it can be highly effective. I know a young man who is autistic and a brilliant actor. He can not only memorize everyone’s lines, but he can act them in character. He could probably do the same in an additional language. Interesting. I don’t know why I fixated on French, but I definitely did. Rote memorization can definitely be helpful. In fact, most of my ability to speak in a language came from rote memorization of scripts that I came to understand, and then eventually was able to assimilate into my own vocabulary and modify. Reblogged this on martabak . polkadot. Hi. I stumbled upon your site today, and this post caught my interest. I’m an autistic grad student in Classics. So I study — for a living (still trying to get used to that bit) — ancient Greek and Latin. Last semester, as I began to teach elementary Latin, I’ve thought more about how I learn language — what works for me and what didn’t. And I started to wonder if, maybe, the differences in the way modern languages tend to be taught versus how Greek and Latin are traditionally taught would make the latter easier for autistics to learn. I can’t generalize my experience, but this has at least been true for me. Because although I enjoy and do well enough if ancient dead languages to be a PhD student in the field, I had a difficult time with elementary German in college. Once I took a German for reading class, I was fine — but the actually elementary classes were a nightmare. For reasons similar to the ones you talk about. They were taught on an immersion model, where the instructor wasn’t supposed to use English at all. The book attempted to make you intuit grammar instead of teaching it directly. Generally, the whole class was taught on the principle that language learning should be as context-based as possible — with a minimum of explicit explanation. Also there was a huge emphasis on acquiring conversational skills. Which meant that a lot of class time boiled down to trying to make small talk in German — when I wouldn’t have been able to make very successful small talk with them in Englsih. And a bunch of people talking at the same time which messed with my auditory processing. I also couldn’t (can’t) pronounce German sounds. I guess what I’m trying to get at is that, for me, studying dead languages worked out great because the focus is textual. Not being able to auditory process it makes no real difference (except perhaps with scanning poetry, which incidentally I have trouble with) — personally I find myself experiencing these languages very visually. There is no emphasis on conversational skills (well except among a small minority who is trying to make “spoken Latin” a thing). Traditionally these languages are also taught with a very grammar-oriented approach (though this is not always true), so while context is important, there is also explicit explanation of how things are constructed. I was able to learn them systematically, analytically in a way that the immersion style makes nearly impossible. There are some other factors as well, but this is true for me and I wonder to what extent it’s true of other autistics as well. I don’t know if there’s much out there about that, so I was excited to see your post. Sorry if this comment is too long, just wanted to add some thoughts. Hi!! Thanks so much for your comment. That definitely rings true for me too. (Also it is *soooooo* hard to get used to the fact that I’m paid to be a PhD student in my field… it’s such a fascinating concept!) – I don’t do super well with texts, but I do better with them than I do with spoken language, at least at first. Cool! It’s interesting — I think I need to start surveying the other people I know… And yeah, will be second year grad student next school year, definitely still trying to get used to the idea. Especially with teaching. I keep thinking, they pay me to teach actual students for actual grades in an actual major university — almost like I’m an actual adult. 🙂 Also, I’m young for my department and look even younger. But it’s awesome to be paid to study things you’re interested in, especially if you’re lucky enough to land in a department that’s a good fit. Anyway, glad to run into your site — I’ll read more in the future. 🙂 Yay! 🙂 Glad you’ve found here too. I definitely get that “young for my dept, look younger” thing – I’m 23, and look about 15. I’m a 2nd year student currently, just about to be 3rd year. But I don’t mind too much – I just love doing what I do. 🙂 SCIENCE! Hi, I am a foreign language teacher for middle school kids, and someone in my department passed along your post. A parent recently contacted me after her son’s IEP transition meeting to high school. The head of the special education department tried to tell them that he should take Mandarin instead of French. This sparked a whole discussion in my department, and we are curious: does it seem that learners on the autism spectrum do better at learning certain languages and not others? As a teacher, my gut response is to have the student take what they want to take since they would be more motivated. Then, I second-guessed my own answer, since I really don’t know if there is research on the topic. I would be grateful to anyone who has insight on the topic. Un très grand merci! Thanks for the feedback! If I run into any research, I will let you know, but I have heard a lot anecdotally since I started looking into this which would indicate that the student motivation is the more important component. Hello! I would love if you could do a whole post on echolalia some day. Or even just answer a few questions. And any teens/adults that were echolalic as children could share their thoughts. My daughter, 2.5, is echolalic (immediate and delayed). I would love to know how to help make her use and grasp of spoken language more functional for her. She is actually so good at it that I thought she was simply talking. I had to have help to see that it was everything she’d heard before. But now that I have a better idea of how to talk so she understands, I feel her phrases and sentences have really grown. I just want to have an idea of what she feels and how best to teach her, and talk to her. I just wish I had known sooner. But now that I do, I’m hungry for whatever I can learn. I need an echolalia tutorial! I can tell she’s so much happier now than when she was listening to a whole long string of never ending words about far away abstract things. Hello E (The Third Glance), I too have been called E since I was a teen and since then there are lots of young ones who go by E or T etc., the cool thing to do I guess. Anyway I’ve read almost everyone of the wonderful comments regarding your blog and your responses and I found them all very enlightening. I am a mother of three with two in the spectrum and while my first born never showed signs of delays early on I did find it disconcerding that at a year and a half he would cry incessantly when his dad would leave for work and would stand by my kitchen window to watch the train leave as though he knew that his dad was on one of those trains going by. One day I was giving him a bubble bath and he said the word Johnson and Johnson which was the baby shampoo I used to wash his hair. I was floored totally shocked and I wasn’t sure if I heard correctly so I said what did you say and he repeated the words again, which I’ve never mentioned to him nor did I read it to him. My first thought was that he must of seen it in a commercial and let it ride. By the age of three I placed him in daycare and at that time the teachers called me to the side to tell me how he was progressing and the darndest thing to my disbelief and surprise the teachers tell me he read the headlines of the New York Times. I said he must of heard someone reading it out loud and repeated it, but she said no he was reading the paper on his own by himself with no help from others and they also mentioned that he basically kept to himself and did not interact with the other children that he hung around the teachers more than his peers. That was the beginning of my journey to have him evaluated to see about the reading if there was anything I could do other than what I had been doing to encourage his ability to read other than continue to read to him. As they tested him they found no evidence of genius but they did say that he was very smart although he had despraxia. By the time he was in the third grade he had a tremendous hard time keeping up with his peers because he could read above average but not comprehend. Ultimately I had him placed in a special needs school where he eventually convinced me to put him back in public school because he didn’t feel like that was the right setting for him. Needless to say he did ok in special ed public school but by the time he entered high school he was a babe in the woods and could not adjust to the learning constraints of even special education. My son was seventeen when he was finally diagnosed with asperger syndrome. He learned French in junior high school and was at the top of his class.He learned Spanish at home watching Spanish novels with his great-grandma and listening to me and my parents speaking Spanish. He taught himself how to read and write it and also learned how to speak Portuguese by watching novels as well. My daughter who is “A typical” learned Spanish from grade 4 through college and prefers not to speak the language for fear that she’ll be corrected if she should mispronounce a word. I being bilingual because Spanish is my first language have often been corrected by my peers or family members and never felt offended because I would rather be corrected than made fun of. My third child also a son was diagnosed at age 6 with developmental delay then with autism. At age 2 I noticed that he seemed to be repeating rather than forming his own sentences. Later I found out that it was echolalia. I was grateful that there was a word for it although when I realized that he was echoing what was said to him I started to teach him in my own way not to do that. It didn’t last very long but by the time he was in kindergarten was when his difficulties in learning became more pronounced. He was unable to read or write and once it was determined that he was autistic I went in search of a school where he might learn without having to remove him from Catholic school. That was a bust so I had to place him in a school for autistic children where he was able to florish and gained great strides. I was talking to my son in Spanish and English from early on and when he attended this school the staff recommended that I only speak to him in English to avoid confusion. Later I realized that there were other boys in his class that were bilingual and that they were not stiffled from speaking their native language. I was appauled and told the staff that I thought it would be good for him to learn a second language because afterall he is hispanic and should know his native language. As time went on I tried teaching him Spanish by reading to him in Spanish and singing familiar school songs that were sung in Spanish and he learned the words to the songs. Although now that he is sixteen it all got lost in translation and I would like to attempt to teach him again. I found the idea of flash cards would be good for him because that is the way I taught him to recognize words in English and how to multiply. I hope it’s not too late to teach him his native language I believe he can still absorb things like a sponge. He is very willing and determined to become an actor, screenwriter, producer, director and makeup artist. I hope and pray that he will accomplish at least one or two of those goals and I am working hard to find a place where he can express his abilities and finally find his nich in life. Thank you for your blog it was very helpful to me. I am trying to write an essay now. I have an entire idea of a paragraph but I can put it into words. Why do I need to write an essay? Is my job going to ask me to write an academic response? This is about critical thinking and reasoning right? This is terrible but I don’t feel the need to go around and argue, reason my points to anyone and your point is probably going to be lost on me because I won’t care. Sorry. I am so mentally worn, I am going to go eat a sandwich then cry. Thank you for sharing. I showed my jumbled mess of a draft to my fiance and he had no idea of what to make of it. Arrows here, mark out there. I’d love to take a picture of it and show you. I think it is a marvelous representation of the chaos that consumes me when I am surrounded with so many words. I am a visual thinker, when someone says balance I automatically see a scale that is teetering. I like to laugh at myself quietly, when I see something someone is saying and it looks funny. Home is where the heart is? weird. okay Im done. Im sorry for the awkward rant and randomness. Thank you writing such a useful article. Our son struggles with languages, and has to learn them. Like you is a phenomenal reader and has incredible vocabulary but just can’t get to grips with French. I’m going to print this off and take it into the school! This gives me great insight and will help me support him a bit better. We’ll try your tips! There is a book called ‘First thousand words in…’ which is a brilliant book to teach words visually in different languages. I am a foreign language teacher. I’ve been taught that the “best” way to teach is immersion. You’ve expressed that the “best” way to teach is the way the student learns. Your post is so helpful as I think about how to reach all of my students who learn differently. Thank you. Any advice for a student who can memorize words just fine, but is struggling with pronouns in French? Je, tu, il/elle, nous, vous and ils/elles… what to do to make it stay memorized, and not mix them up? Just asked the student how to say “you” and guessed “nous” — this after several attempts to memorize these. Student is losing patience. Thank you in advance. I would be grateful for some advice for the TEFL teachers- are there any techniques we could employ to teach autistic children/teenagers?